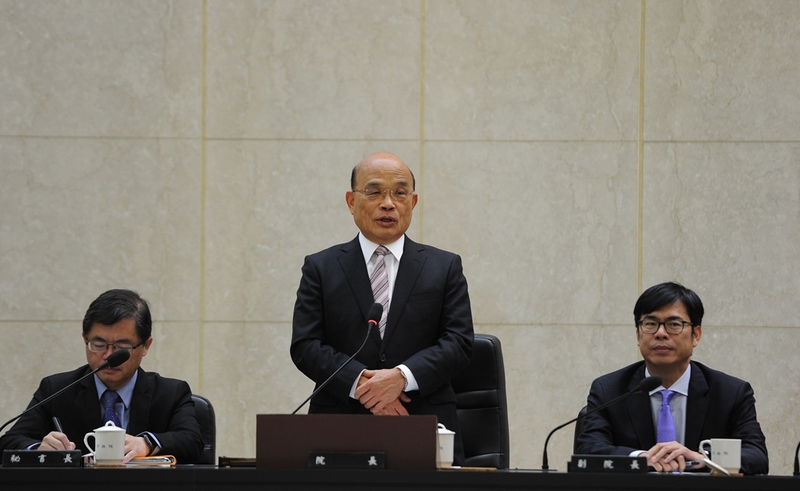 Premier Su Tseng-chang convened his first Cabinet meeting Jan. 14 in Taipei City, pledging to lead his team in delivering tangible results so that the public can experience and share in the achievements of government reforms. Ministries must collaborate closely and forge ahead on the existing foundation of economic transformation laid down by outgoing Premier Lai Ching-te, Su said, vowing to step out of his comfort zone, roll up his sleeves and dive into the work. According to Su, the top priority for the government is to create real benefits for the people through policy measures that aptly respond to public expectations. All central government agencies will take stock of programs under implementation, identify those that are failing to deliver outcomes and propose appropriate action, he said. The premier also instructed ministers to communicate with the public in a decisive and straightforward manner so the people clearly understand the steps that are being taken to address their needs. Su and the new Cabinet members assumed their posts earlier the same day in a swearing-in ceremony hosted by President Tsai Ing-wen at the Office of the President in Taipei. Afterward, Su received the seal of office from Lai at the Executive Yuan. He said that he accepted the immense responsibility out of passion for Taiwan and a sense of duty to the country and its people.